There are currently 4 users and 212 guests online. 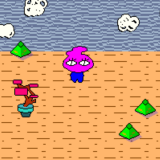 Well, I decided to finish up a Knytt Stories level that I abandoned a few weeks back for Klik of the Month. It's got a (pretty inappropriate now!) Halloween theme, and it's inspired pretty heavily by Monocromatica Grotto. Anyway I hope you enjoy it! 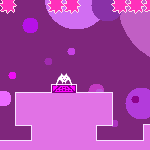 It's the first level I ever made that's even a little bit hard. I love it! Are you going to make something for Knytt of the Month? Probably! I actually have a pretty decent idea to Knytt.